Where Can You Find the Cheapest Stock Photos? Having the right stock photos for your creative project is imperative. They do not only spice up your website, they also convert visitors into customers. However, finding the perfect images can be a daunting task – especially if you don’t know where to look. Several sources are available in the internet, but not all of them are reliable and affordable. So, where can you find the cheapest stock photos? The cheapest stock photos aren’t for free. They come at a price that won’t hurt your pockets, though. They are sold for affordable prices at stock photo agencies. Your choice depends on your creative needs and budget. Stock Photo Secrets. A one-stop shop for all your stock photo needs, Stock Photo Secrets offers the lowest deals in the market. Their 99 Club plan allows you to download 200 XXL images per year, without daily download limits. Free photos are also available in the website, as well as coupons to help you save more. SPS has over 5 million premium stock images – all with royalty-free license. Extended license is now offered at the stock site for unlimited print runs and merchandise for resale. Shutterstock do not only have the cheapest stock photos, they also have the largest stock collection. With over 192 million royalty free images, music tracks and video clips, you will surely find the perfect file to enhance your creative projects. The stock site offer stunning content at straightforward prices, starting at $29 per month for 10 images. Plans for individual and multiple users are available, granting access and legal coverage for every user. Adobe Stock. Adobe Stock is the best place to get the cheapest stock photos for Creative Cloud users. Deeply integrated with Adobe desktop apps, you can preview, access, license and manage stock photos directly. Annual plans start at $29.99 per month for 10 images. A free trial is currently offered, making it the best time to check out the website and see if it suits your creative needs. Credits are also available for content you can’t get with a plan, such as premium images, videos and templates. If you are looking for the perfect stock photos, vectors and illustrations, iStock is the place for you. It has millions of high quality images that will make your project stand out. All files in the library belong to two collections: Essentials and Signature. Every size is the same price and can be bought through credits. Subscription plans are also available for larger, ongoing creative needs. The cheapest stock photos are available in these four stock photo websites. At affordable rates, you are not only getting high quality images but also the usage rights that guarantee legal protection. All their images come with a royalty-free license that allows you to use them in any project for as long as you like. Some also offer extended license for unlimited print runs and use on merchandise for resale. Photography is a great way to connect with your target audience. Over the years, stock photos have improved their quality and prices. You can find anything you need from stock photo sites for minimal cost. If you are looking for the cheapest stock photos in the market, check out the above stock image sources. 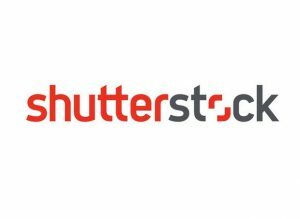 Why Do You Need a Shutterstock Coupon Code?